2019 AAU Team Rosters, Practice Schedules and Tentative Tournament Schedules have been Posted!!! ALL the teams for the 2019 Spring AAU Season have been posted with TENATIVE SCHEDULES. The Practice Schedule is also up to date on the team pages and will be updated weekly! Coaches will speak to you at the first couple practices about the financial commitment of the team but a payment will be do this week and all payments must be made in full by April 6th. We thank everyone for trying out for the Early Risers Basketball Club. 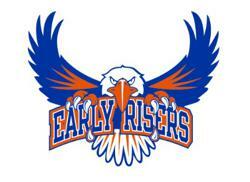 The Early Risers Basketball Club is one of the Tri-State areas Elite travel team programs. We have become one of the premier programs in New York State. We try to offer young athletes an opportunity to work with a top coaching staff, compete in the highest-level tournaments and improve their athletic skills to prepare them to play in middle school, high school and college-level basketball. The skills developed through our program such as integrity, work ethic, teamwork, leadership, loyalty, accountability, time management, communication, leadership, and dedication are all essential to not only the game of basketball but the game of life. These skills and attributes help our players grow as great people as well as great basketball players. WEST LONG BRANCH - At BDA Pro Day in Los Angeles on June 1, Justin Robinson says he had a brief interaction with Pat Riley. Nothing too serious, certainly nothing to write home about. Turns out, that wouldn't be the last time the former Monmouth University point guard and the Miami Heat president would connect this month. After not being selected in Thursday's NBA Draft, Robinson has agreed to a Summer League deal with the Heat. The Heat will play in the Orlando Summer League from July 1-6, and the Vegas Summer League from July 7-17. "I'm definitely happy, but I'm just in surreal shock right now," Robinson told Gannett New Jersey on Friday morning. "You always dream about this spot, about playing in the NBA, and it's at my feet now. I just have to prove myself all over again. I have the opportunity to show my abilities, and it's just an extreme blessing." 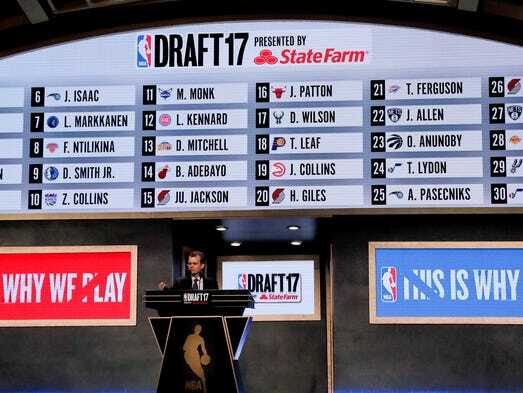 Once the 60th and final pick was announced around 12:15 a.m. Friday at Barclays Center, Robinson didn't have to wait long to figure out his status. He says he got a text from his agent at BDA, Jamar Smiley, 15 later saying Miami would be his destination. Robinson did not work out for the Heat during the predraft process. He did have workouts with the Los Angeles Clippers, Washington Wizards and Portland Trail Blazers this month. "I'm going down there to kill everything," Robinson said. "We're fighting for spots. We're probably fighting for spots to fight for a spot. I just need to show what I can do, and do it at the highest level I can." A three-time All-MAAC first-team selection and a two-time MAAC Player of the Year, Robinson left Monmouth as its all-time leading scorer with 2,003 points. He also finished his career in the program's top-5 in assists, steals, field goals made, 3-pointers made and games played. Across four years, Robinson played in 131 out of a possible 135 games, including the final 103 of his career. In his 131 games, 128 of which were starts, Monmouth went 83-48, including a combined 55-15 in his junior and senior seasons. ARDSLEY, NY- Championship Day at the Rumble in the Bronx is always one of the more anticipated days of the AAU season around New York City as you get some of the top programs from up and down the Northeast coming together to try and take regional supremacy. Sunday proved to be a great day of competition on each of the 17u, 16u, and 15u levels, and even though each of the three championship games featured a New York representative, only one was ultimately able to come through and pull out the win in the big game. 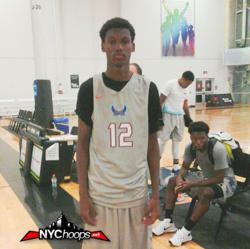 It was still a great day of action for the New York teams overall, and with NYCHoops.net in attendance throughout, let's now take a look at how things played out with a recap of the day's action. If the day was to belong to any one team in the division you have to say it was all about the Early Risers. A solid team comprised of kids from the Section 9 region, head coach Bobby Rahn always has his team prepared, but they almost didn't have the chance to shock the Rumble on Sunday. After a late loss on Saturday night in pool play, three teams were tied at 2-1 in their pool with the Early Risers ultimately advancing to the Gold Playoffs off the point differential tiebreaker by just 1 point. They did advance through to the Quarterfinals where they played CT-PHD. It was a game where the Early Risers would grab a double-digit lead quickly, but lose nearly all of it by the half where they only led by one. The second half started poorly then as well as they would trail by as many as 5 with just over 12 minutes to play. Not wanting to go out that way though, Marquis Johnson (Pine Bush '18) would become more aggressive defensively, and he along with Brandon Powell (Pine Bush '18) would push the Early Risers on a 14-3 run to put them back in control. The game would again get within 4 late on a pair of three balls, but the Early Risers did enough to take a 64-58 win. That would move them onto the Semifinals where they would face off with a team that was considered the favorite coming into the weekend in the City Rocks EYBL team. Loaded with the likes of Isaiah Stewart (McQuaid Jesuit '19), Jeenathan Williams (University Prep '18), and Joe Girard (Glens Falls '18) meant that on paper this was heavily leaning the way of a City Rocks win, but that's why they play the games. It was a low scoring opening half as the Early Risers did a good job of creating enough pressure on the ball to cause City Rocks mistakes. If the Early Risers could've taken advantage more they could've possibly held a bigger lead going into the break, but with only Anthony Iglesia (McQuaid Jesuit '18) doing much offensively for City Rocks, it was EYBL team that found themselves down 22-20 at the half. There was still little worry among most watching thinking that when the time came to turn it on that City Rocks would do what was needed to get the win, and even with Williams pushing it up and down and finishing around the rim to the tune of 18 second half points, it was still the Early Risers that maintained control for much of the game. Leading for nearly the entire game, the Early Risers were able to work the ball around offensively, getting good looks from Zaahir Woody (Ketchum '18) to help keep them in front, while doing a good job in doubling Stewart inside and not letting the size beat them. City Rocks would tie the game up at 47 late, but Powell would drain a straightaway three ball to put them back in front by 3. Buddy Boeheim (Jamesville-DeWitt '18) would get fouled and connect on 2 FT's, and then after a turnover by the Early Risers it was the chance that the Nike power needed. A feed inside though slipped through Stewart's hands, and then Johnson got the loss ball, got it up the court to Chris Wright (Kingston '18) who finished with a dunk with just over 2 seconds to go. Only time for one last shot, the ball came to Boeheim at the right wing where he got off a good look, but it wasn't good meaning that the Early Risers would shock the Rumble in the Bronx, downing the City Rocks EYBL in the semi's 52-49. Onto the Championship Game went the Early Risers where they would take on Expressions Elite EYBL from Massachusetts. Beating one EYBL team was impressive, but beating two in one day would be too much to ask as the Early Risers fell behind early, and while they never allowed the game to get out of hand, they never got the game to within single digits in the second half. Johnson brought his best game though and was solid all tournament long, while Powell was a shining star was well, but it was Expressions EYBL that would prove to be too much in the end, taking home the title by defeating the darlings of the Rumble in the Early Risers, 83-62. ARDSLEY, NY- Sunday was Championship Day at the Rumble in the Bronx and the stars were out in full force in hopes of leading their team to a prestigious Rumble title. With so many of the top stars from around the area tasking the floor on Sunday it was a great chance for us at NYCHoops.net to watch and evaluate the better talents from New York, getting one last look at many of these players on the court before the July Live Period begins. With Expressions Elite EYBL winning the championships on the 17u and 16u levels, Massachusetts may have reigned supreme team wise, but individually it was a great weekend for many New York players so now let's look at who really had strong outings at House of Sports on Sunday with top performer player evaluations from the best of the best. 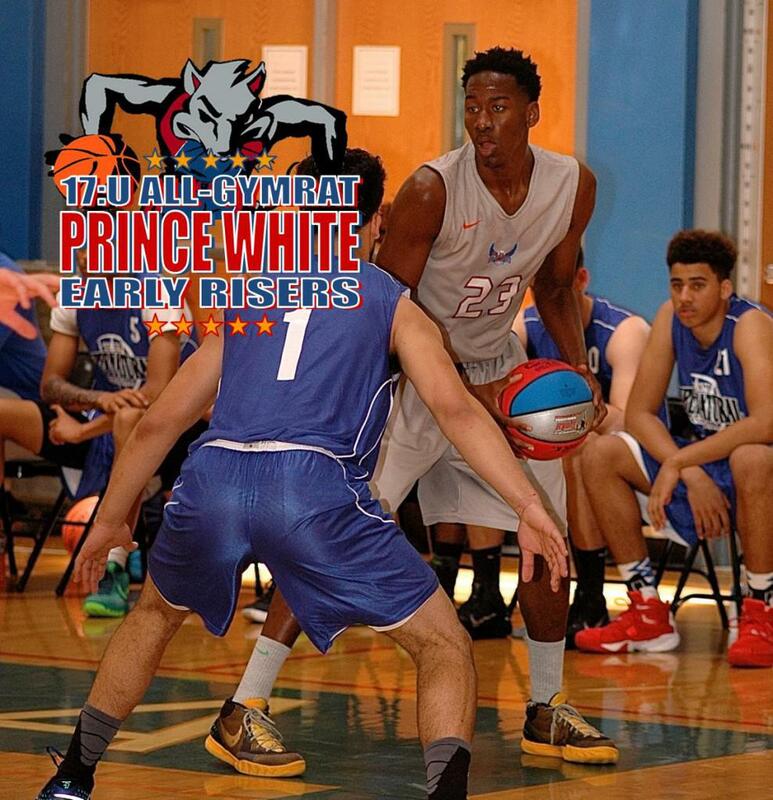 Marquis Johnson, 6'2" SG/PG, Early Risers 17's (Pine Bush '18)- The Early Risers were the team who opened the most eyes this weekend as they got to the 17u Gold Championship before ultimately falling to Expressions. They did take down City Rocks EYBL in the semifinals and it was in large part because of Johnson who had a top-quality Sunday from start to finish for the Section 9 based team. Johnson was aggressive defensively and was a harasser of the ball in creating a good number of mistakes against top quality competition, and he was able to break defenders down off the dribble offensively in pulling up and knocking down midrange jumpers on a consistent basis in putting his stamp on the day. Having been the leading scorer for the Section 9 Class AA Champions, 6'2" guard Brandon Powell (Pine Bush '18) had a high school season to remember in leading the Bushmen to an unbeaten regular season. His scoring touch has continued into the AAU season playing with the Early Risers where he is showing the ability to play either guard spot, and drawing a good amount of Division 1 attention along the way. 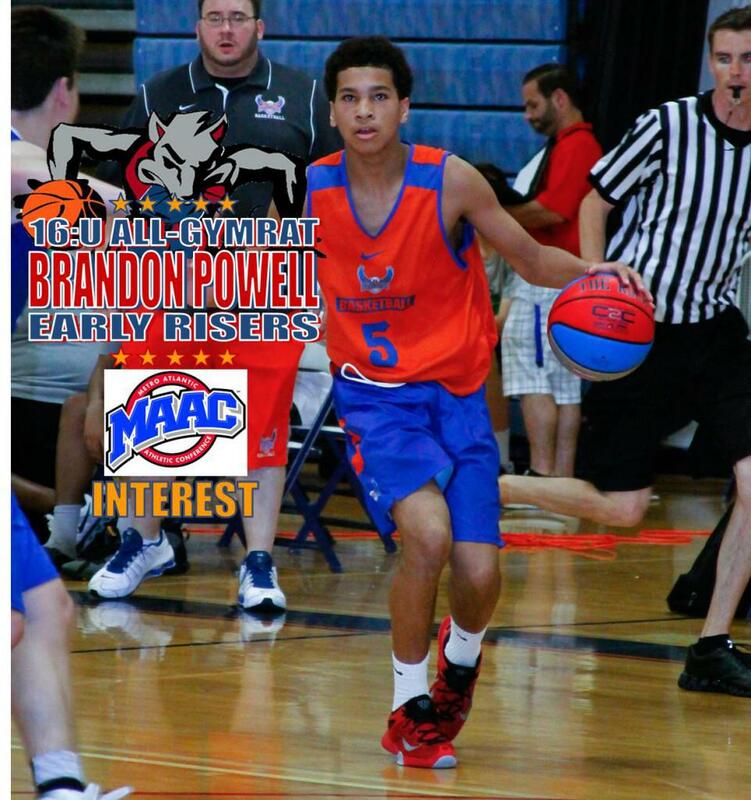 After playing most of the time at the off-guard spot for Pine Bush, Powell is being asked now to play more of a combo position for the Early Risers, which without a doubt benefits him in his development as a player, and in terms of his recruitment as well. As someone who can get by his defender with ease off the dribble, someone who can shoot the ball from the outside, and someone who is one of the more unselfish players you will find, Early Risers head coach Bobby Rahn says that Powell's ability to play both guard spots has really enabled him to take his game to the next level. "With us Brandon plays both the 1 and 2 spots so at times we lean on him to score, and then at other times he handles the ball," Rahn explained. "He does a great job in both roles and I believe he has really come into his own as a tough and talented player." The fact that he is 6'2" made it imperative in Rahn's eyes that Powell be able to take on more responsibility at the lead guard position and run a team, something he has embraced as a leader and someone who steps up in the big situations in making the right play be it making the big pass, or hitting the clutch shot. If there is one aspect that Rahn is still working with Powell on its defending his position better and more consistently, but it's an aspect of his game that Rahn also feels he is picking up quickly playing against the better competition he is seeing on the AAU circuit. "Up in Section 9 Brandon is one of the better guards defensively and can get away with reaching in and picking the pocket of guys, and I give him credit because he is a great rebounder for his size, but he needs to work more on defending the ball and working a little harder off the ball when he is defending," Rahn said. "He has gotten a lot better at that recently though and he has made big strides." A strong high school season, and a good start to the AAU season, has allowed many Division 1 and Division 2 schools to inquire about Powell with Manhattan, Iona, Monmouth, Brown, and Yale all having inquired to Rahn, while a good amount of Northeast-10 schools are just hoping that Powell can slip through the cracks and fall to them where he would be an impact D2 player. Wherever Powell does end up he will be someone who can make plays, and be someone who can do several different things to make his team better as he has proven throughout this past year doing all he can to helps his team's win. 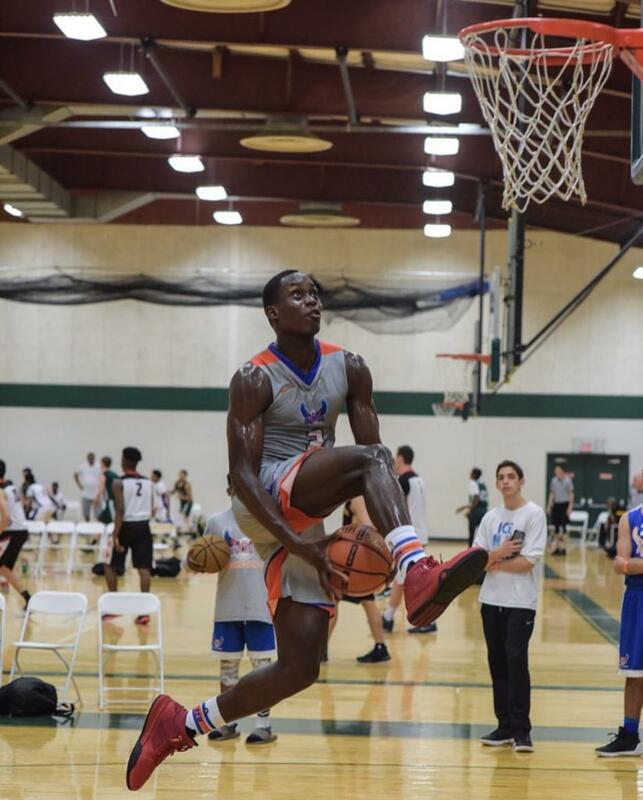 As one of the top overall talents in Section 9 this past season, 6'1" guard Chris Wright (Kingston '18) is looking to prove that he is worthy of Division 1 attention as he helps lead the Early Risers to strong results so far this AAU season. It wasn't the easiest of all high school seasons for Wright as he was asked to do just about everything for the Tigers, and that is why in the eyes of Bobby Rahn, his head coach with the Early Risers, AAU is so important for him. "I think Chris is very underrated up at Kingston because he literally has to do everything and he makes his teammates around him better," Rahn explained. "That's his main role there, making everyone else better, so he may not blow up the stat sheet, but he is a heck of a talent who can if you need him to." 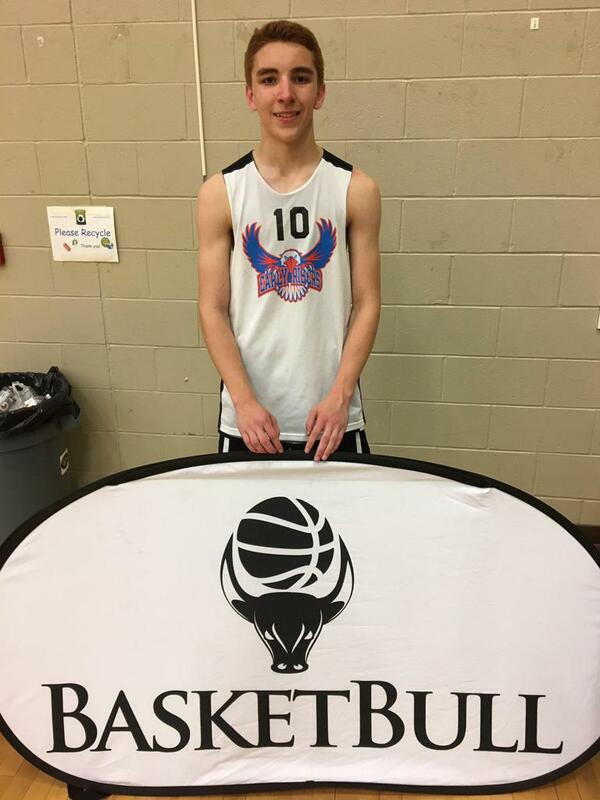 Rahn feels that with Wright able to play freer it will only help open up his game as he can play either backcourt spot extremely comfortably, and the fact that this is Wright's second year playing 17u basketball Rahn says will only help him even more. Still one of the youngest on the Early Risers, it's Wright's versatility that really makes him stand out from the crowd as he isn't just a 6'1" guard who just handles the ball, or just can shoot it, he is multitalented with a skill set that Rahn feels makes him quite unique. "Chris is very athletic, he can score with both hands, he is very quick, he changes speed and direction very well, and he can shoot it," Rahn said. "I think he is just scratching the surface, and if he can maintain his focus on defending the ball and getting a little stronger I believe he has big upside." Right now Rahn said that there are a good number of Division 2 schools who are hoping to land Wright with Dominican, Caldwell, Merrimack, and Pace at the head of the line right now, but there are a few Division 1 schools sniffing around right now as well. 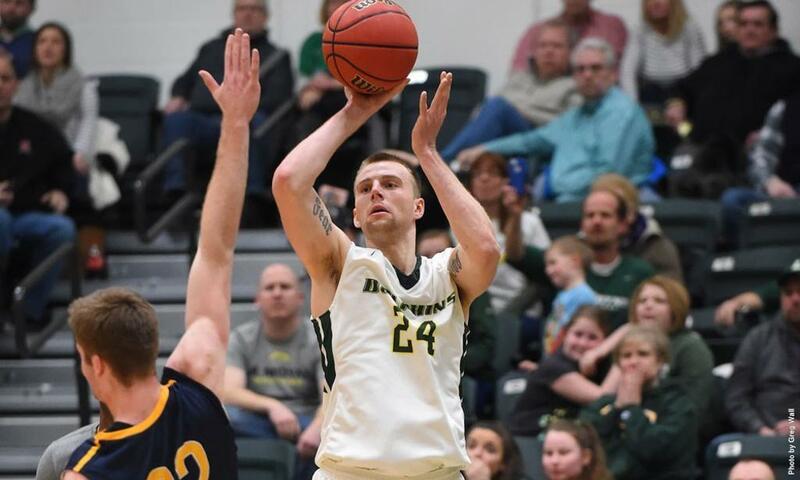 "Monmouth has asked a lot of questions about him because of Justin, Manhattan and Iona are interested, and Stony Brook had him to their elite camp last summer and remain in contact," Rahn stated. 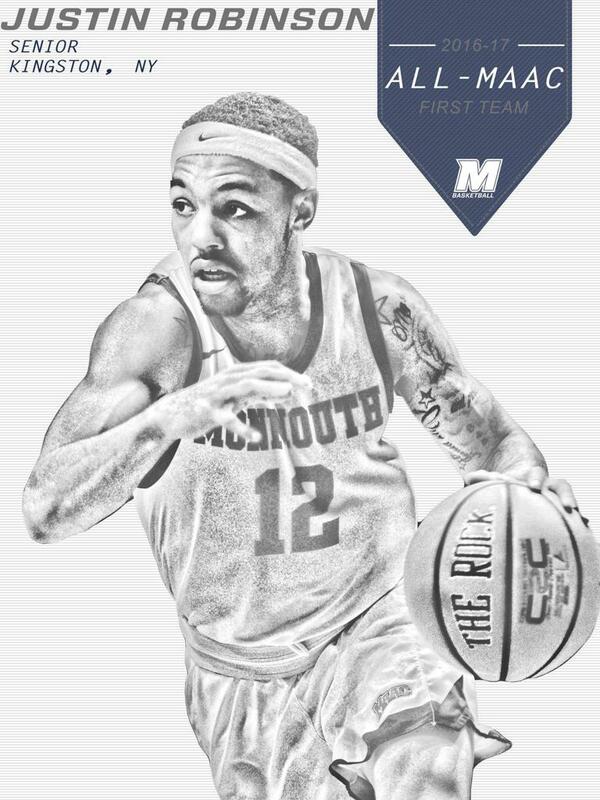 Having produced the likes of Justin Robinson to Monmouth and Darnell Edge to Fairleigh Dickinson out of his program, Rahn routinely churns out underrated players who make impacts on the Division 1 level, and while he may not have a Division 1 offer as of yet, Rahn remains confident that Wright is the next one to prove himself worthy of that accolade. "I think it's Chris's turn to take over. He is one of our leaders this season and I think it's his turn." SARATOGA SPRINGS, NY- For 20 years now, the GymRat Challenge has become an AAU staple for teams from Maryland to Maine to attend each Memorial Day Weekend. It has routinely drawn in some of the top talents in the 15u, 16u, and 17u Divisions for years now, and this year once again proved to be no exception. It was a fantastic weekend of action, and NYCHoops.net was on hand to take in the competition evaluating some of the top New York prospects competitions. There was so much talent that we were able to see over the course of both Saturday and Sunday from Saratoga Springs that we are going to have two parts to our top performer player evaluations from the GymRat Challenge. It was great to see so many New Yorker's stand out on the big stage, and with so much to cover let’s get to it as we present Part 1 of our two part top performers from the GymRat. 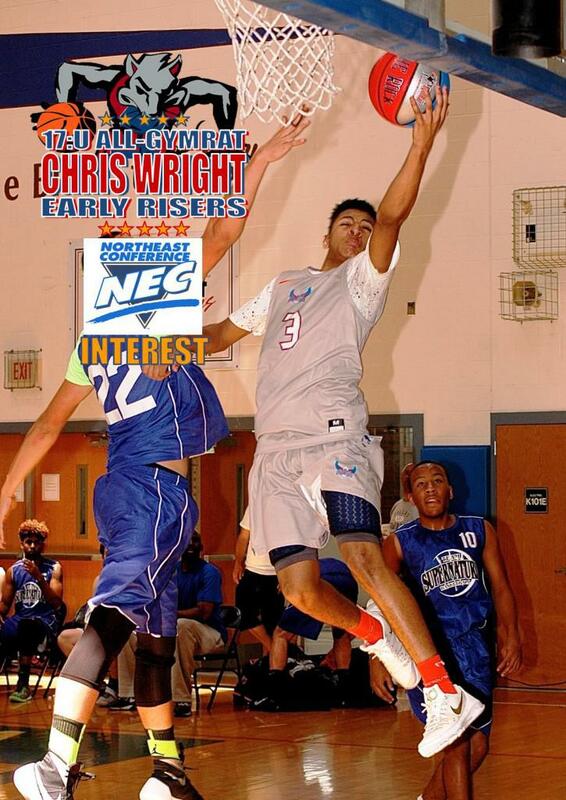 Chris Wright, 6'1" PG/SG, Early Risers 17's (Kingston '18)- Having to do pretty much everything on the high school level for Kingston it was good to get a chance to see Wright play, and thrive, as more of a facilitator because that is where he projects with his size on the next level. Running a team is always important to see out of a lead guard and his strength throughout the GymRat proved to be distributing the ball, getting the entry passes inside with ease, and doing a good job in the half court in creating his own shots be it getting space for midrange jumpers, or doing a good job in isolation situations and getting to the rim to be able to score driving inside. 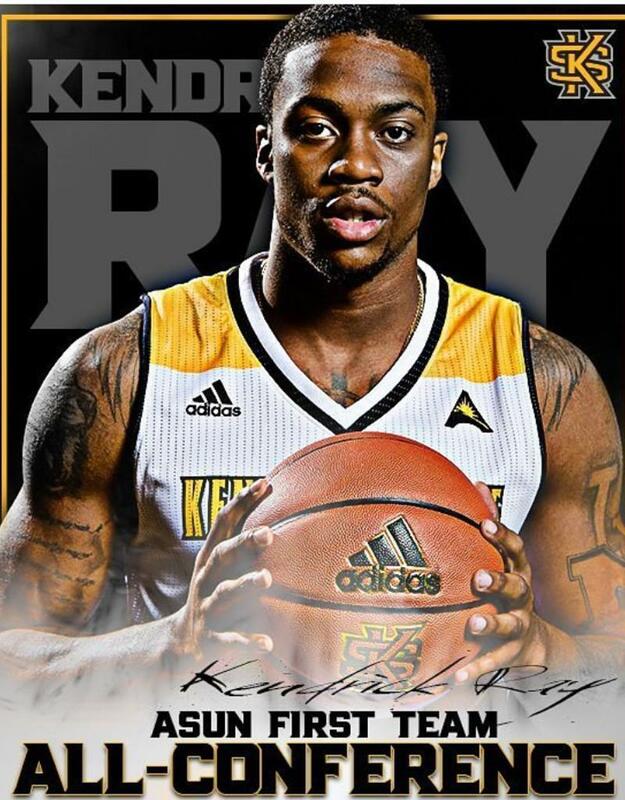 KENNESAW, Ga. – Kendrick Ray was named ASUN Player of the Week after averaging 22.0 points per game shooting 58.1 percent from the floor while leading the Owls to two victories. The redshirt senior started the week by playing in front of his family and friends up in Newark, New Jersey by scoring 22 points against NJIT. The Highlanders took a lead with 17 seconds remaining, but Ray sprinted the ball up the floor and hit a game winner with under five seconds left giving Kennesaw State the victory. With the team looking to stay hot at home against Upstate, Ray was one of four players to score in double figures as he once again led all scorers with 22 points. With under a minute to play, Upstate fouled him twice and he went 4-4 from the charity stripe to finish off the game. This is the second time this season that Ray has been named ASUN Player of the Week and sixth weekly award he was won in his two seasons at Kennesaw State. Ray and Kennesaw State will now travel to Stetson for a Thursday night game at 7 p.m. The game will be broadcasted on ESPN3. KSU is currently 5-4 in the ASUN and is sitting in a tie for third with five games remaining in the regular season. 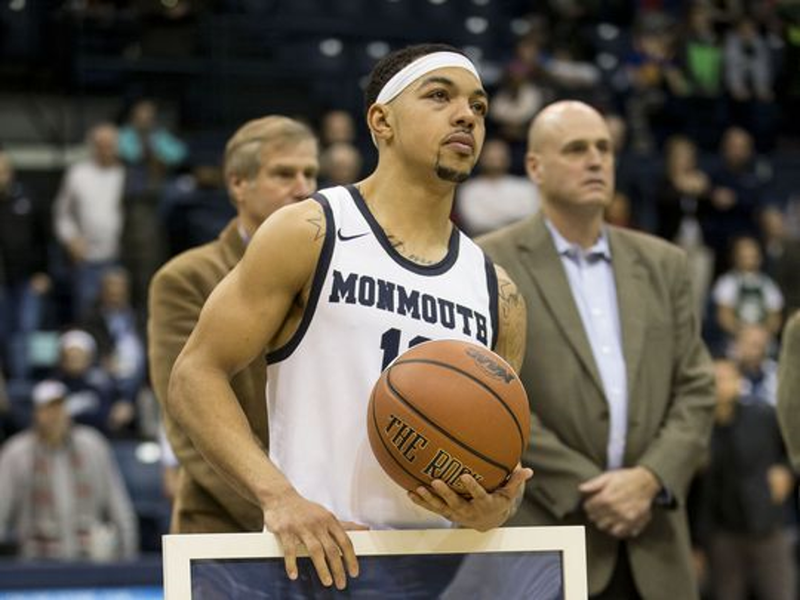 WEST LONG BRANCH, NJ – Monmouth senior guard Justin Robinson (Lake Katrine, NY/Kingston) has collected his second MAAC Player of the Week honor after setting the program’s Division I scoring record on Monday. He averaged 26.5 points per game for the week in two wins. Robinson set Monmouth’s Division I scoring record at Marist, hitting a three to move into first before netting two more triples in 52 seconds to extend the Monmouth lead in the second half. He finished with 24 points on 6-13 shooting. He then took over against then-second place Saint Peter’s, scoring 29 points, 26 coming after the half in an overtime victory. During a stretch in the second half with the Hawk down eight, Robinson netted 14 consecutive Monmouth points to get MU over the hump to tie a program record with their ninth straight win. He added nine rebounds, five assists, two steals and shot 88.9% from the foul line. This marks the second MAAC Player of the Week honor for Robinson, earning his first on January 23 after MU went 3-0 in MAAC play over a week. He is currently leading the MAAC in scoring at 19 points per game. Charlotte, NC--Charlotte Hornets General Manager Rich Cho announced today that the team has signed center Mike Tobey to a 10-day contract. Tobey joins the Hornets from the team’s NBA Development League affiliate, the Greensboro Swarm, becoming the Swarm’s first-ever call-up and the D-League’s 16th Gatorade Call-Up this season. The Hornets roster now stands at 14 players. The 7-0 Tobey has appeared in 29 games (19 starts) for Greensboro in his first D-League season, averaging 11.0 points, 8.9 rebounds and 1.3 blocks in 26.0 minutes per game. He has scored in double figures 18 times and grabbed double-figure rebounds on 15 occasions, including each of the last five games. Tobey has posted 12 double-doubles, tied for fifth-most in the D-League, and also ranks 10th in the D-League in rebounds and 14th in blocks. The Monroe, NY, native played for the Hornets in the 2016 Orlando Pro Summer League and signed with the team on July 25, 2016. In two preseason games with the Hornets, Tobey posted averages of 6.0 points, 3.5 rebounds and 1.0 block in 18.8 minutes. A four-year player at the University of Virginia (2012-16), Tobey’s 138 games played rank first in school history. He owns collegiate career averages of 6.8 points and 4.0 rebounds in 16.3 minutes per contest, and was named the ACC Sixth Man of the Year following the 2014-15 season. 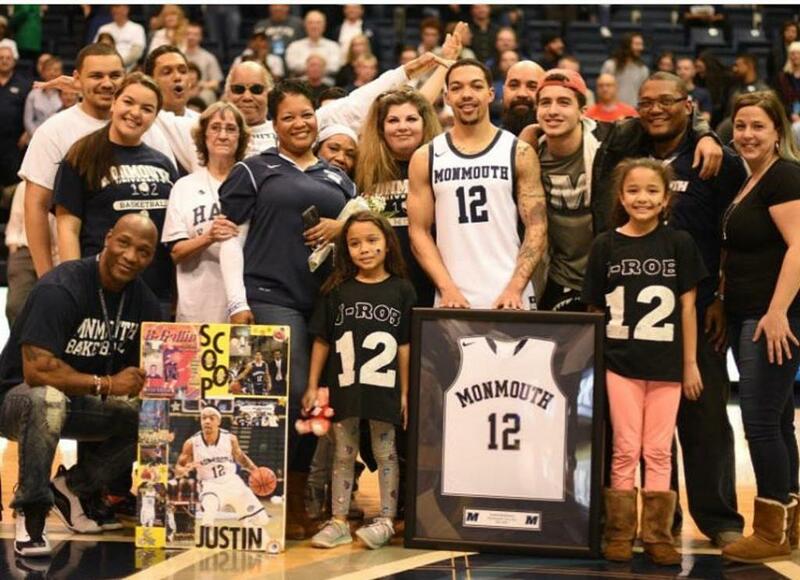 POUGHKEEPSIE, N.Y. (AP) — Justin Robinson scored 24 points and broke Monmouth's Division I scoring record and the Hawks beat Marist 83-71 on Monday night. Robinson entered needing 11 points to tie the record and he broke it on a pull-up 3-pointer with 13:36 remaining, He added two more long triples to put Monmouth up 56-51 with 11:13 left. Micah Seaborn scored 20 points for Monmouth (18-5, 10-2 Metro Atlantic Athletic Conference) and Je'lon Hornbeak added 11 points with eight rebounds. Robinson was 6 of 13 from the floor and hit 9 of 11 free throws. Monmouth trailed 34-27 at halftime but opened the second half on a 14-7 run, capped by a Hornbeak 3, to tie it at 41. Khallid Hart led Marist (6-17, 3-9) with 25 points, hitting 8 of 9 free throws. The Red Foxes have dropped 7 of 8 and 13 of 15. 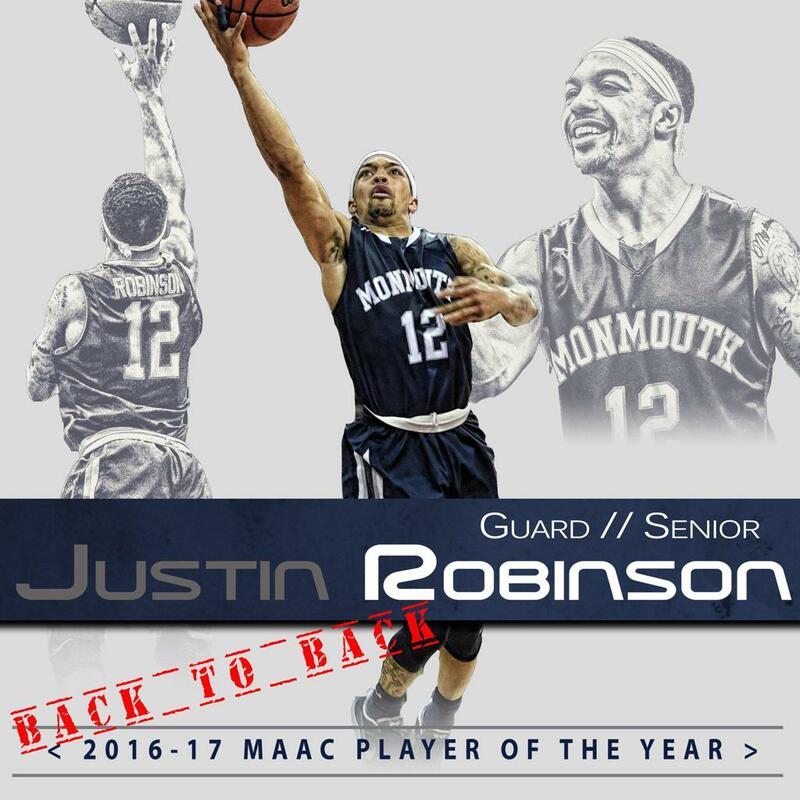 NEW YORK (Jan. 24, 2017) --- Justin Robinson of Monmouth in Division I has been named Men’s Player of the Week, by the Met Basketball Writers Assn. The designations, for games played Jan. 16-22, are unique in that they encompass players from 74 Met area schools across Divisions I, II and III. 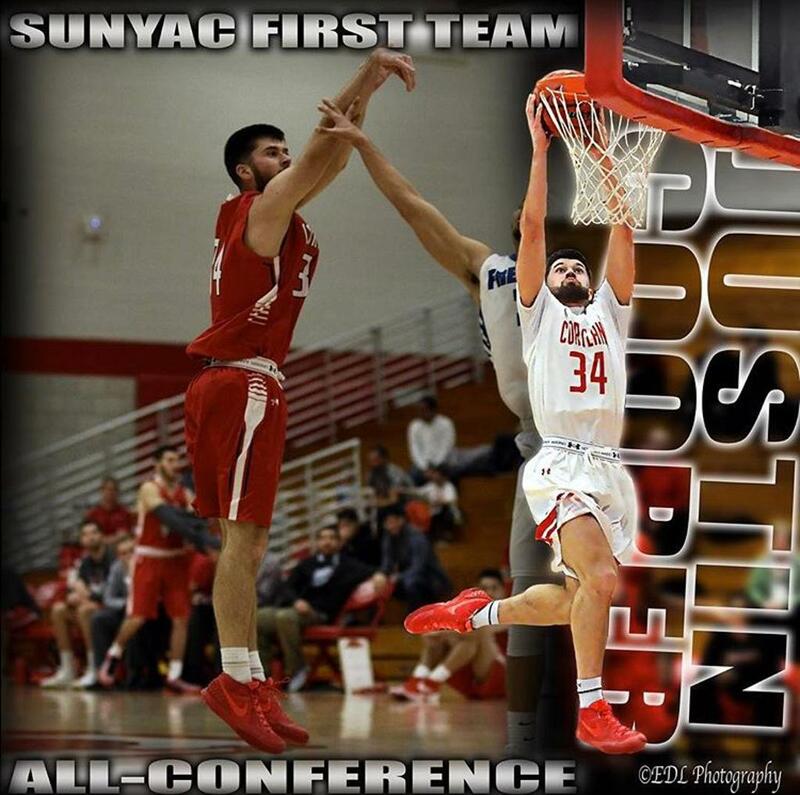 A 5-8 senior guard from Lake Katrine, NY, Robinson --- who also was named Metro Atlantic Athletic Conference player of the week --- was instrumental in a 3-0 week for the Hawks (16-5). He netted 68 points for a 22.7 ppg average, shot 48.7% from the field and 52.9% from 3-point range, while adding 11 rebounds, 14 assists and six steals. His week included a pair of four-point plays. Robinson’s stretch of games included 21 points and a team-high eight assists in topping Canisius 76-72 on the road as MU moved into first place in the MAAC. He erupted for 27 points in an 82-71 homecourt victory over Manhattan, including nailing 4-of-7 from beyond the arc, and posted 20 points on 6-of-8 from the field in just 22 minutes of action in a 91-49 triumph over Fairfield, which is Monmouth’s largest margin of victory (42 points) in program history over a Division I opponent. Players receiving MBWA Men’s Division I Honorable Mention for the week: Angel Delgado, Seton Hall; Abdul Lewis, NJIT; Jordan Washington, Iona; Justin Wright-Foreman, Hofstra. Players receiving MBWA Men’s Divisions II-III Honorable Mention for the week: Andy Laurent, St. Joseph’s LI; Jalen Harris, NJCU; Jamail Stanley, Old Westbury; Joseph Taylor, William Paterson; Chaz Watler, St. Thomas Aquinas. Previous MBWA 2016-17 Men’s Players of the Week: Dec. 6, Tim Coleman, NJIT, and Joseph Lopez, Sacred Heart, Div. I; Thomas Bonacum, Ramapo, Divs. II-III; Dec. 13, Shamorie Ponds, St. John’s, Div. I; Justin Reyes, St. Thomas Aquinas, and Jamail Stanley, SUNY Old Westbury, Divs. II-III; Dec. 20, Angel Delgado, Seton Hall, Div. I; Matt Miller, U.S. Merchant Marine Acad., Divs. II-III; Jan. 10, Curtis Cobb, Fairfield, Div. I; Frank Schettino, Staten Island, Divs. II-III; Jan. 17, Quincy McKnight, Sacred Heart, Div. I; Jamail Stanley, Old Westbury, Divs. II-III. 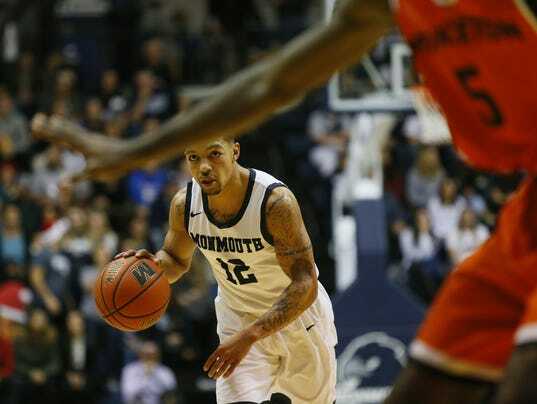 WEST LONG BRANCH, NJ - Monmouth senior guard Justin Robinson has been named Lou Henson National Player of the Week, awarded to the best Division I mid-major player of the week on CollegeInsider.com. 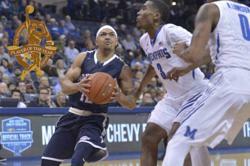 He scored 21 points in Monmouth’s win over Memphis last Tuesday. Robinson tied for the team lead in scoring with 21 points last Tuesday at Memphis, and knocked in what proved to be the game-winning free throws with 14.2 seconds remaining. He added five rebounds and five assists, as well as three steals on 8-for-19 shooting in 37 minutes. He helped Monmouth tie a program record with eight straight wins, as well as tie the best start in school history at 9-2. The Hawks have now topped six high-major programs in the last two seasons. 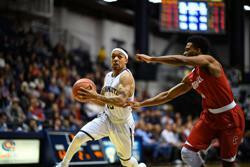 Robinson started the season on the Lou Henson Award Watch List, awarded to the nation’s best mid-major player. He was a finalist for the award last season, and was a two-time weekly award recipient in 2015-16. WEST LONG BRANCH, NJ – For the first time this season, senior guard Justin Robinson was named MAAC Player of the Week, league officials announced Monday afternoon. Robinson led the Hawks to three wins, scoring 22.7 points per contest in the process to earn Monmouth’s second weekly award this year. Robinson was the catalyst of a 3-0 week for Monmouth to take over first place alone in the MAAC, including topping Canisius on the road to move into first and a victory over Fairfield in what would be MU’s largest margin of victory against a Division I school ever. He netted 68 points in three games, an average of 22.7, while hitting the 20-point marker in all three contests. He did so while shooting 48.7% from the field and 52.9% from beyond the arc, pitching in 11 boards, 14 assists and six steals. He had two four-point plays and added four three-pointers in consecutive games, scoring 20 against Fairfield in just 22 minutes. Robinson was also 77.8% from the foul line on the week. Earlier this season, Robinson earned Lou Henson National Player of the Week while classmate Je’lon Hornbeak was named MAAC Player of the Week in December. Robinson is 33 points shy of Monmouth’s program scoring record and has scored the most total points in the MAAC this season. Robinson and the Hawks are back in action Friday night at OceanFirst Bank Center to play Quinnipiac at 7:00 p.m. on ESPNU. In his first season of college basketball, Kendrick Ray played in 30 games at Quinnipiac and averaged a mere three points per game and shot 35 percent from the field. He followed that season by playing in one game, scoring two points. It was then that Ray decided it was time for a change and transferred to Kennesaw State to continue playing Division I basketball. 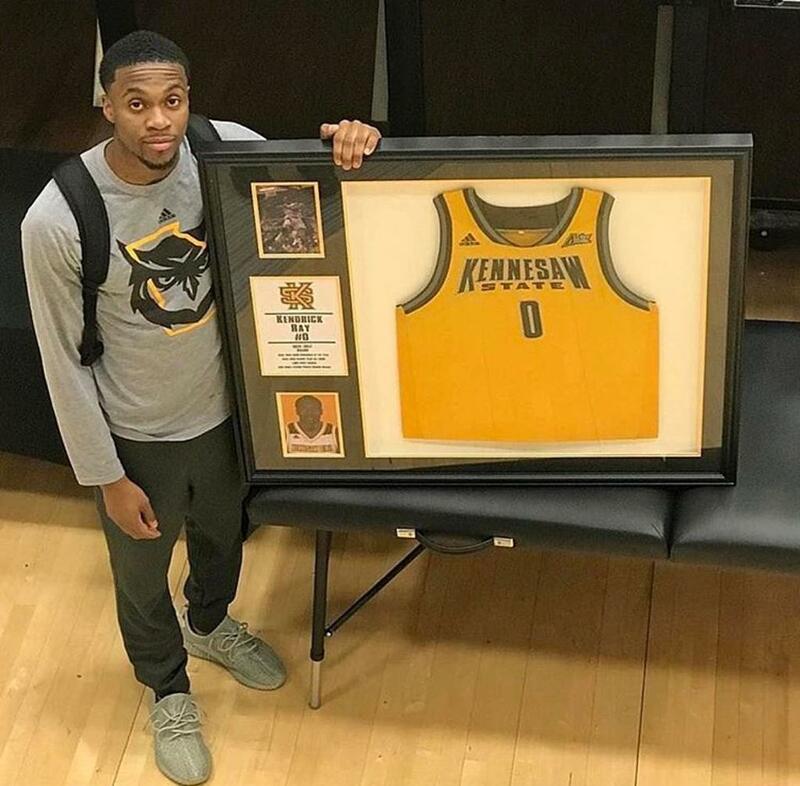 Ray didn’t play in the 2014-15 season because of NCAA transfer rules, but the moment he stepped onto the court the following season the Owls knew they had a diamond in the rough. 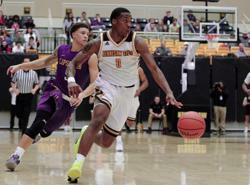 In the 2015-16 season, his first at Kennesaw State, Ray was named Atlantic Sun Newcomer of the Year and second-team all-conference after leading the team in scoring, at 18.7 points per game. He set a new single-season points record with 579 and led the team in assists with 86. This season Ray is proving to be even more of a consistent shooter. He ranks ninth in the nation in scoring averaging (22.4 ppg) and has led the Owls to tying their non-conference wins record with six this season. Ray also averages seven more points than those “other guards” at Quinnipiac. Ray is not only a great offensive player, but he’s a great all-around player as well. He ranks third on the team in rebounds, blocks and steals, and second on the team in assists. It’s a tough ask for a coach to rely on his star offensive player to also guard the opposing team’s best offensive player, but Ray loves a good challenge. Ray may be a good well-rounded player, but there’s always something to improve on. The Owls are 6-12 on the season (0-2 in conference play) before their home game against at 4:30 p.m. Saturday and have lost their past two games by six points combined. That’s not a good conference start, but Skinner believes the team can bounce back. Ray agrees with his coach and understands the Owls must fix the smaller things to get back on track. Ray and the Owls will get their chance to get their first conference win in their next upcoming game against Stetson at home Jan. 14. @lohudinsider NE-10 schools should be all over @N_Ovchinnikoff. 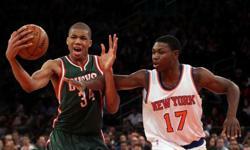 Cleanthony Early (6-8, 210-lb) was selected in the second round (34th overall) of the 2014 NBA Draft by the New York Knicks and appeared in 39 games his rookie season, averaging 5.4 points and 2.5 rebounds over 16.6 minutes per game. He averaged 1.8 points in 17 games during his second NBA season in 2015-16, a year shortened by a right knee injury. During 2016 NBA Summer League with the New York Knicks, he averaged 10.4 points, 3.8 rebounds, and 2.0 assists in five games. He was later signed by the New York Knicks on Oct. 18, 2016 before being designated to Westchester. Early became the Westchester Knicks’ first-ever NBA assignee on Jan. 30, 2015 and averaged 20.3 points and 9.7 rebounds per game in three games for Westchester during the 2014–15 season. He was assigned to Westchester on four occasions during the 2015-16 season for a season average of 15.6 points and 7.3 rebounds. He was one of four players in history to appear in both a D-League and NBA game in the same day (Dec. 2, 2015). 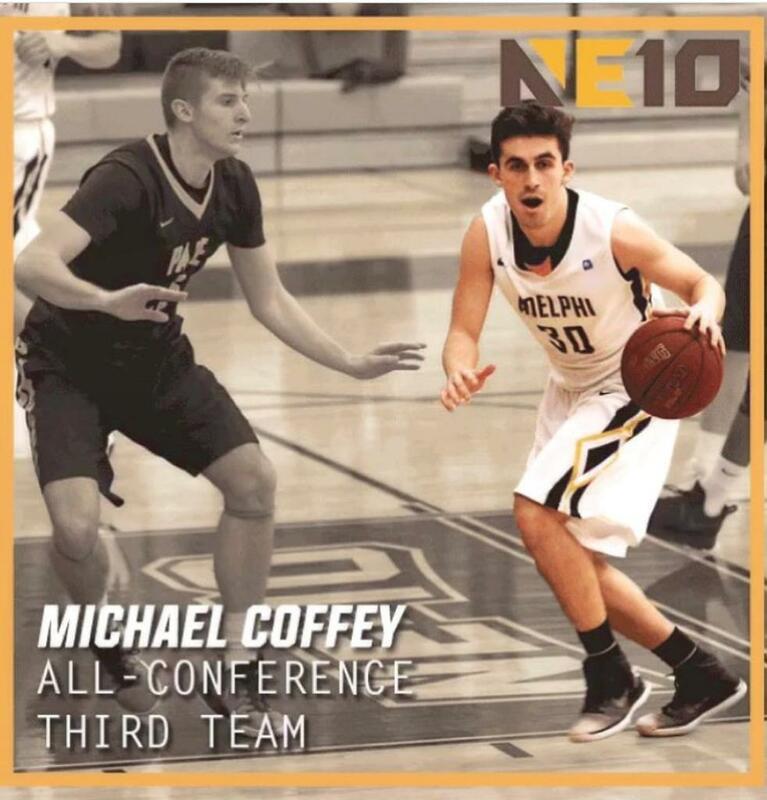 Early averaged a career 13.9 points and 5.4 rebounds per game at Wichita State and was named first team All-Missouri Valley Conference and MVC Newcomer of the Year. He led the team to the NCAA Final Four following an undefeated 34-0 record and averaged 16.4 points on 48.6 percent shooting and 5.9 rebounds his senior year. We went over some of the top teams from Friday's Day 1 action at the Hoop Group Summer Jam Fest, so now it's time to take a look at the standout individual performers from the opening night of play. With many top teams in attendance, it's no wonder that many of New York's top players were in action too, but going up against some of the best from up and down the East Coast meant that they needed to bring their "A" game if they wanted to shine in front of the many Division 1 college coaches who were on hand. It was yet another chance for New Yorker's to show that they belong among the best, and with many stepping up with big time Day 1's, let's take a closer look at those who did just that with top performer player evaluations from the first day at the Summer Jam Fest in Manheim. 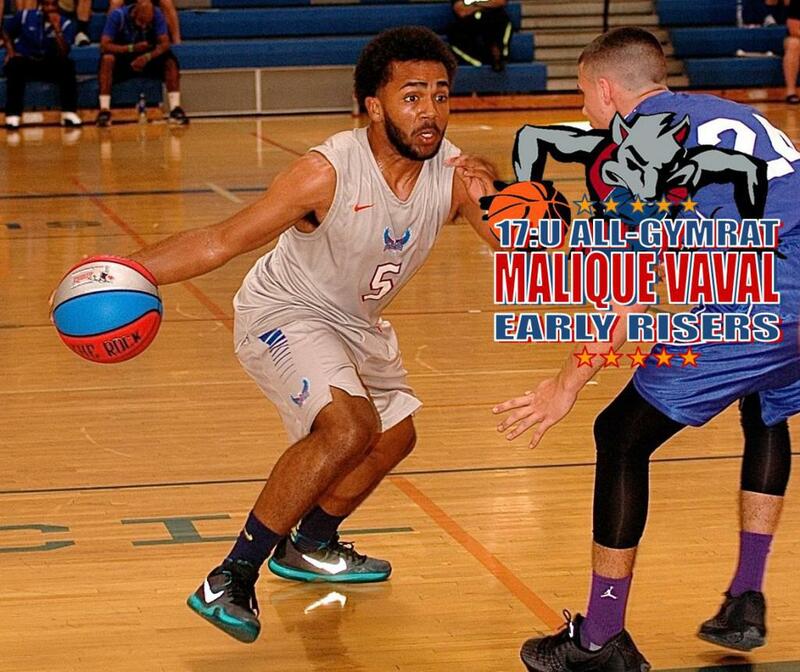 Savion Boissard 6'4" SG Early Risers (Valley Central '16) If there was someone from New York who could compete with Hawkins was most athletic on the day is was easily Boissard who as a Class of 2016 is still waiting and deciding on what to do for next year. He unfortunately at times can get pushed out as just an athlete by those who see him just once or twice, but on Friday again he showed that while he does have the agility to fly through the air and finish in impressive what's above the rim, he is also someone who has a smooth release and a nice ability to stroke it from deep with an improved handle and solid range. Prep School seems to be an option, but any low Division 1 or high Division 2 school could get a steal in Boissard late. Believe Elite Athletic Training is an official sponsor of the Early Risers Basketball Club. Coach JR does an excellent job of training not only our athletes but all of the elite level athletes in the county. Teaching and training Basketball the right way! Drive Sports believes in having dedicated trainers, coaches, and staff members who are passionate about the roles that they play on our team! ©2019 Early Risers Basketball Club / SportsEngine. All Rights Reserved.